Piano courses are more popular than ever now, in part thanks to Alan Rusbridger’s book ‘Play It Again’. (For many years, Alan was a regular at what he described as “piano camp” – Lot Music, based in the Lot-et-Garonne region of France). So what is the attraction of a piano course? I think most pianists would agree that in addition to the opportunity to study with some top-class teachers and international concert artists, the social aspect is very appealing. As pianists we spend a lot of time alone with only dead composers (mostly) and that box of wood and wires that is our instrument for company. Many of us like the solitude, but it is also important for us to connect with other pianists. A course is one of the best ways to meet other pianists, to hear one another play, share repertoire, receive expert tuition in a friendly and supportive atmosphere, indulge in piano chat, and have fun. I have formed firm, lasting friendships with people I have met on piano courses, and some of us return year after year because we gain so much from the experience. If you are preparing for an exam, diploma, competition or audition, a course is also a great way of receiving invaluable feedback from a skilled teacher and the other participants, and is an opportunity to run a programme by an informal and sympathetic audience ahead of the big day. Courses such as Lot Piano and La Balie aim to combine expert tuition with a luxury “piano holiday” (partners are welcome too), and there is plenty of time to relax, explore the local area and food, or simply chill out by the pool in between masterclass sessions and tutor recitals. Some courses have a special focus on particular composers and/or repertoire, others on duo or chamber music, and most cater for pianists of all levels and ages. 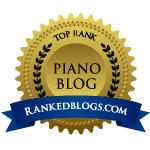 And then there is the opportunity to perform, which for many amateur pianists can be one of the most daunting things one will ever do, and also one of the most rewarding and inspiring. Performing to a group of people whom you have got to know over the course of a weekend or a week-long course allows you to perform in a ‘safe zone’, and can be less stressful than a more formal concert setting. The preparation, both musical and emotional, is the same, but it can be hugely less nerve-wracking, and there are usually opportunities to discuss aspects such as memorisation, organising page turns, managing performance anxiety and strategies for coping with nerves. Next postExam mark sheets: help or hindrance?